With the exponential increase of image database, Content Based Image Retrieval research field has started a race to always propose more effective and efficient tools to manage massive amount of data. In this paper, we focus on improving the discriminative power of the well-known bag of visual words model. To do so, we present n-BoVW, an approach that combines visual phrase model effectiveness keeping the efficiency of visual words model with a binary based compression algorithm. 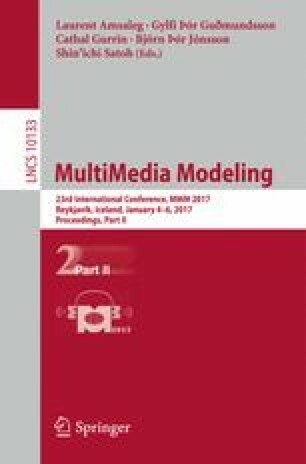 Experimental results on widely used datasets (UKB, INRIA Holidays, Corel1000 and PASCAL 2012) show the effectiveness of the proposed approach. This research is supported by the Poitou-Charentes Regional Founds for Research activities and the European Regional Development Founds (ERDF) inside the e-Patrimoine project from the axe 1 of the NUMERIC Program.